Özcan Akyol is a writer and editor of the AD newspaper. 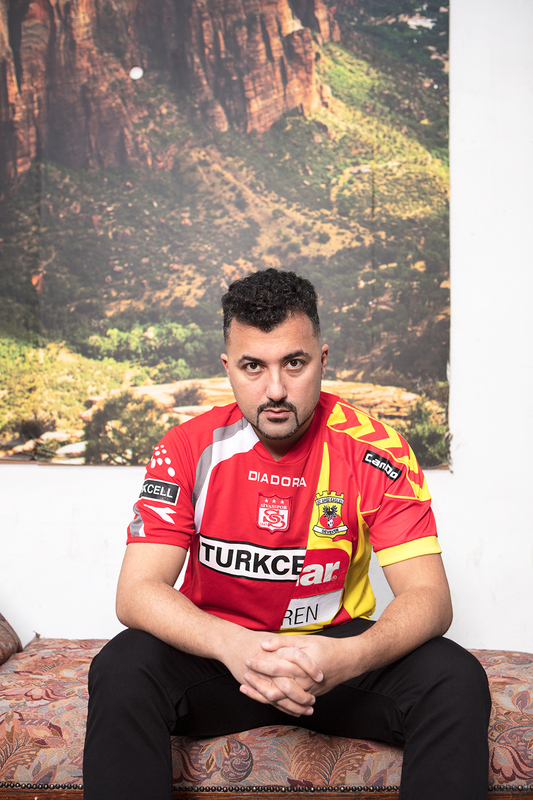 He asked us for a combination of his favorite Turkish team Sivasspor and Go Ahaed Eagles from Deventer where he is from. By using quite identical shirts regarding fit, age and size we’ve made him something that looks like it was ment to be. 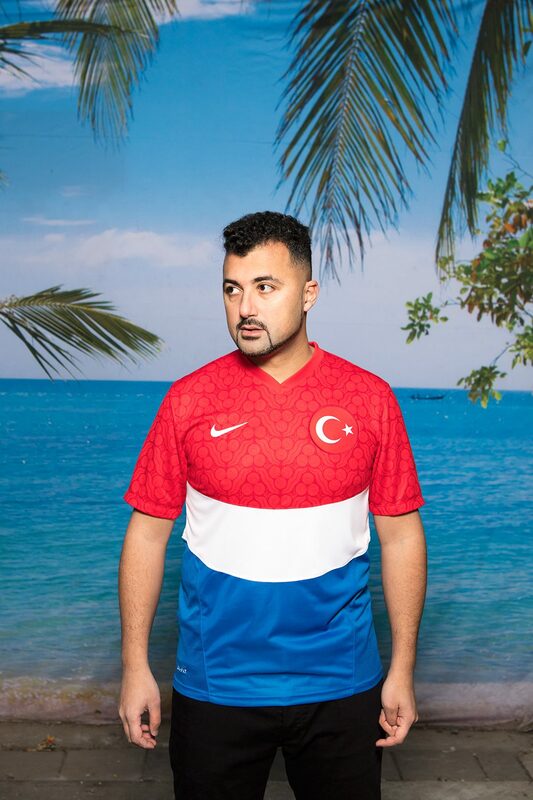 With his Turkish descent he was happy to show off the Turkish Dutch flag as well.